The processing and finishing of surfaces is complex and varied. GRONBACH’s portfolio incorporates everything from mechanical pre-treatment through anodising and powder-coating to various printing techniques. Our manufacturing spectrum embraces designer and decorative components in sheet material, extruded profiles such as handles and fascia panels, housing components for premium domestic appliances, lighting equipment, and decorative elements for the automotive sector. Furthermore, at our site in Wasserburg we carry out research projects in the field of alternative coatings in order to render surfaces more scratch-proof and chemical-resistant and we have developed a new UV printing method which enables printing to withstand the toughest demands over a long period of time. We process stainless steel from 0.1mm to 1mm – from stamping and bending to deep drawing of complex geometric forms. We are able to customise forms according to customer’s requirements from the thinnest aluminium foils up to 5mm or even thicker extruded profiles. We construct all tools and handling equipment ourselves. Metallic surfaces can be sanded, brushed, polished or irradiated to various degrees of fineness. Turning and milling of metal is also possible. All processes are 100% reproducible thanks to the automated, robot-controlled treatment of the surfaces. JAny colour is possible – we even produce and deliver RAL standard colours just-in-time. We use polyurethane, polyethylene, epoxy and mixed powder varieties in easy-to-clean, hot fat powder and standard grades and therefore can offer our customers additional benefits such as ease-of-cleaning if required. MICHATEK and GRONBACHWASSERBURG are the associate partners for powder coating. During the anodising coating procedure, an extremely thick, hard oxide layer is produced by electro-chemical processing, resulting in excellent protection against mechanical damage and weathering without affecting the metallic characteristics of the aluminium. 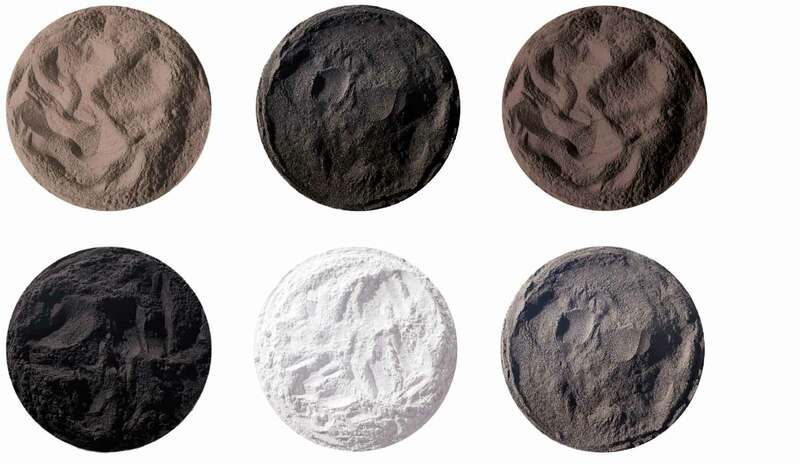 Concerning the colour processes (including adsorptive, absorptive, electrolytic or electro-chemical polishing), we have a broad range of colours from natural aluminium to bronze and black at our site in Wasserburg. 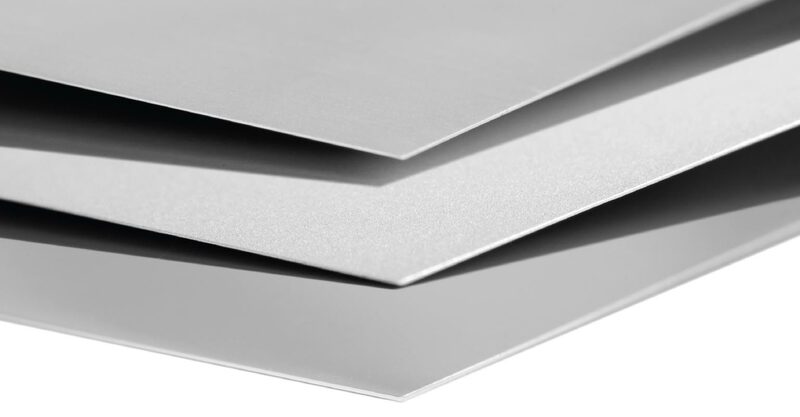 The extremely scratch-resistant designer surfaces can be processed and anodised up to a length of three meters. During the printing process, the colour is pressed into the porous aluminium before it is sealed and thus embeds itself into the structure of the aluminium. Only after printing is the aluminium component sealed, ensuring that the colour particles remain secure over the long term. Our etching process makes it possible to have a haptic or 3D logo from the same alloy as the main component. Certain defined areas can be under-emphasised during the anodising process, which creates a three dimensional design, including using different colours and with matt or gloss effects. We have developed this special UV printing process to meet the stringent requirements of the cross-hatch and Ericson-Griffel tests and also to ensure long lifetimes. We can also print directly onto the base material with four or six colours using digital printing technology. Inscription of surfaces using a laser is the most up-to-date technology for challenging lettering. 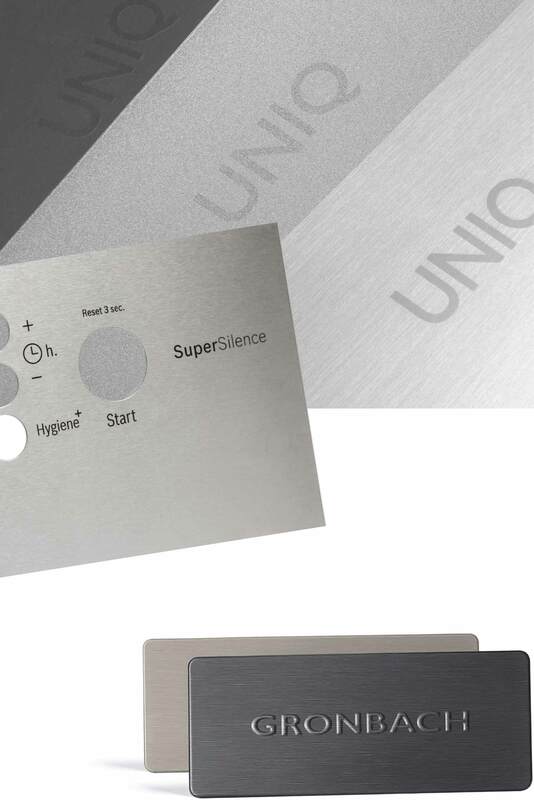 It is ideally suited to the visual representation of operating functions on appliance fascia or other surfaces. Our hybrid process, developed in-house, also offers excellent solutions for labelling. There is extensive information on this on the following page.